Posted by OeWF in Internships at the OeWF, OeWF News. 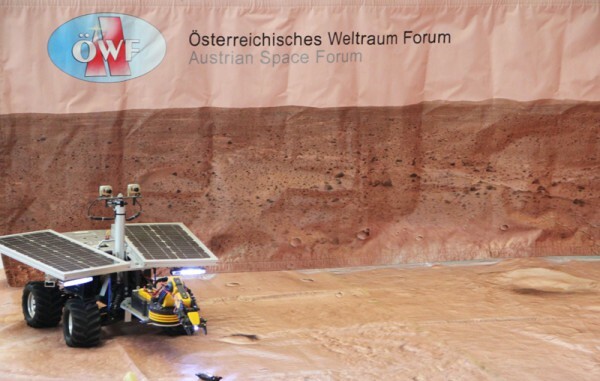 As Innsbruck hosted the annual women’s races last Saturday, 21st June 2014, inside the small ice hall nearby, children gathered around OeWF interns, watching the “Dignity” rover as it rolled over the mock Martian surface. 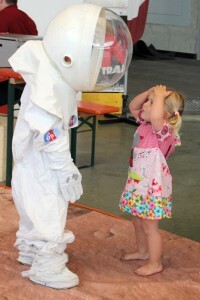 This was just one of several activities set up by local companies, and sporting groups, to amuse and entertain the children during the course of the day. Several hundred children and their families visited the mock “space station” in the corner of the hall. 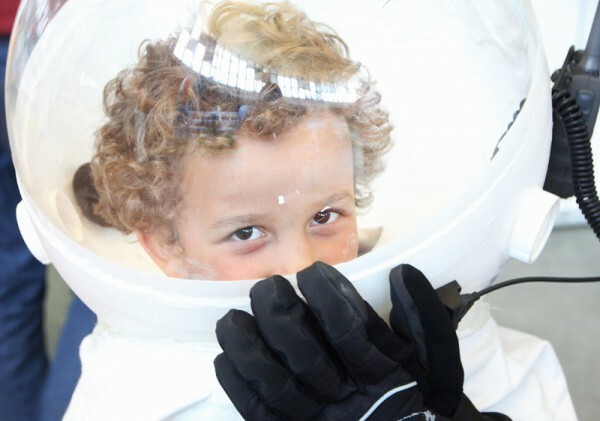 It gave the kids an opportunity, to dress up in miniature space suits, and pretend they were walking on a Martian surface, as well as communicate with their families via the walkie-talkies. Another big hit, was learning how to direct and control the rover to pick up mars rocks (actual Mars Bars in fact! 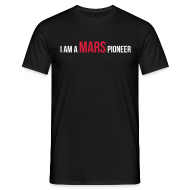 ), just like would be done on a real Mars mission. 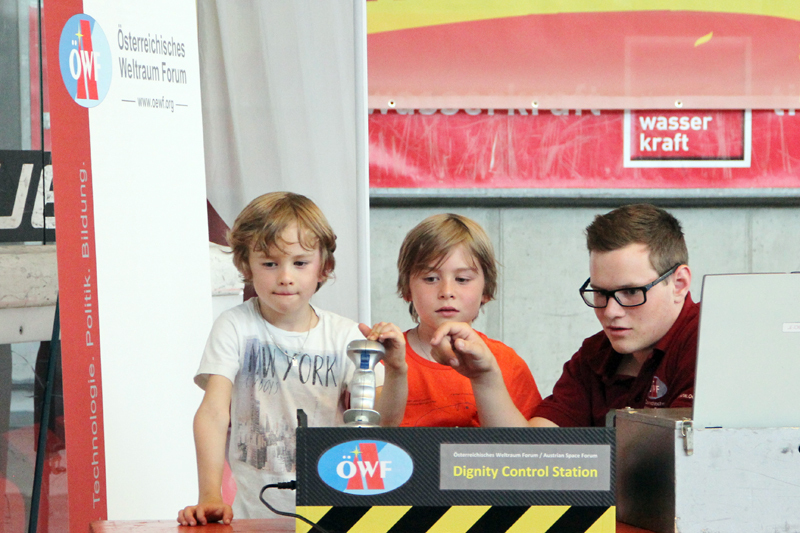 Yet another station let the families learn about how much less they would weigh on Mars , as well as see some great pictures from the OeWF MARS2013 mission. It was a great turnout of people, but what was most enjoyable, was to see so many children enthusiastic about the rover, miniature space suits, and Mars in general!